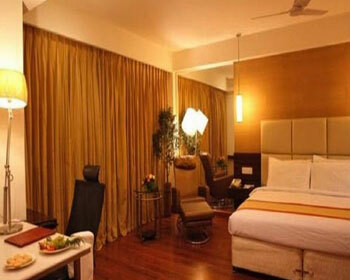 Hotel Bliss is an ideal option for leisure and business traveler. 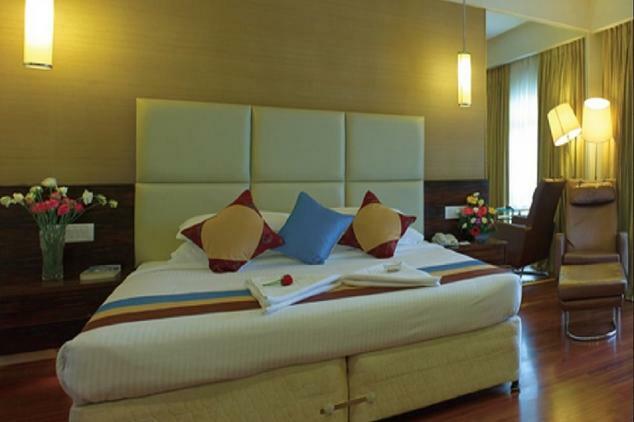 The hotel offers traditional accommodations along with excellent services for a hassle free stay. 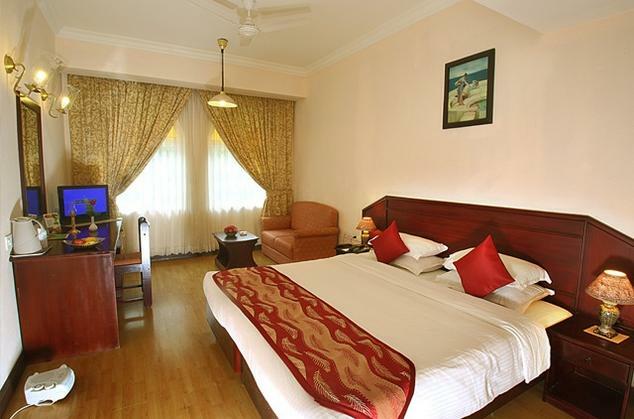 The hotel is 14 km away from the airport and 2 km from Tirupati railway station. The hotel has a fabulous swimming pool for the guests to enjoy a warm swim in. 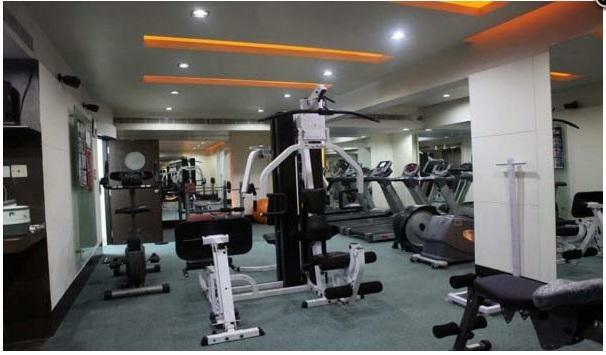 For all the health conscious guests the hotel has a gym on premises with all the latest equipment. The hotel boasts of 7 venues for weddings and conference halls that can accommodate 25 to 1500 persons. The events are easily organized to your preferences without a hitch. 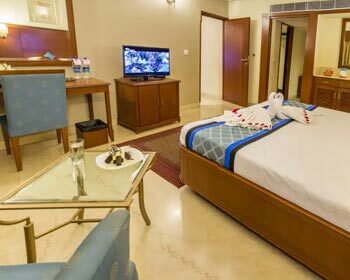 The hotel offers all basic services like laundry services, valet parking, wheel chair facilities, darshan assistance, travel desk, business center, internet café, 24-hours room service, shopping arcade and doctor-on-call. The hotel boasts of 117 rooms categorized into Presidential suites, suites, Executive rooms and club rooms. 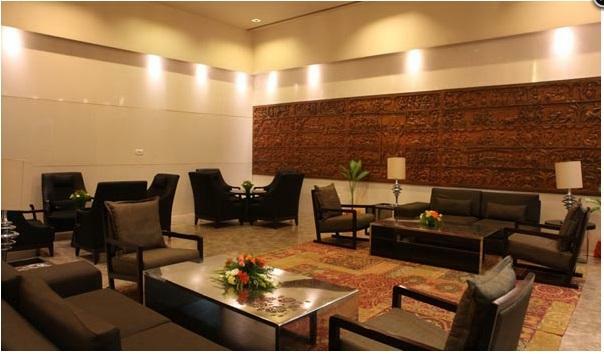 The dining options include Navrattan, Khazana the multi-cuisine restaurants and the bars Madhuvan and Surya. Presidential suites offer a luxurious stay that is amazing and delightful. 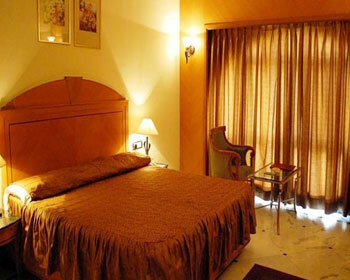 These suites are located on the 4th floor and comprise of a bedroom, sitting room and 2 bathrooms. The rooms offer a splendid view of the night sky that is numbly mind stopping. A complimentary breakfast is served to the guests. The amenities offered are satellite T.V, DVD player on request, direct dial telephone, mini bar, newspaper, coffee/tea maker, Wi-Fi connectivity and safety deposit locker. The bathroom comes with a bathtub, shower, hair dryer, shaving and dental kit, toiletries, sewing kit and slippers. Suites are a delight to the senses and offer a stay like no other. 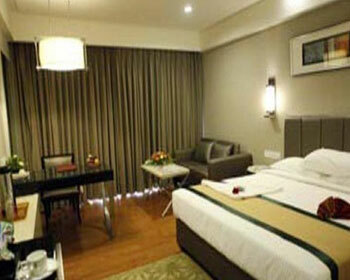 The suites comprise of master bedroom, sitting room and bathroom. These contemporary styled suites are located on the 4th floor and offer a view of the outside hills that light up beautifully during the night. 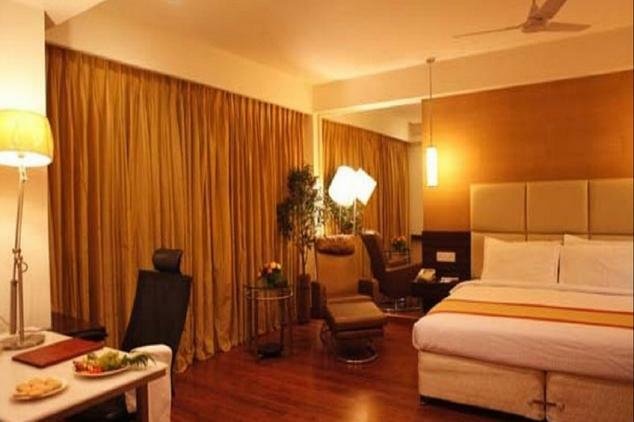 The amenities offered are satellite T.V, tea/coffee maker, safety deposit box, mini bar, direct dial telephone, newspaper, DVD player on request and Wi-Fi connectivity. 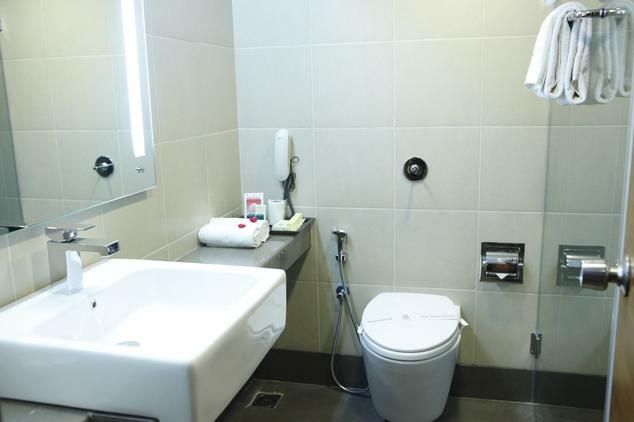 The bathroom offers a bathtub, shower, sewing kit, dental kit, shaving kit, toiletries and hair dryer. Club Rooms are located on the 5th floor and offer a stay that is truly incomparable. These rooms come with a view of either the city or the distant hills that are beautiful at night. The amenities offered are satellite T.V, Wi-Fi connectivity, tea/coffee maker, direct dial telephone, mini bar, safety deposit locker and newspaper. The attached bathroom comes with toiletries, shower, dental kit, telephone, slipper and hair dryer on request. 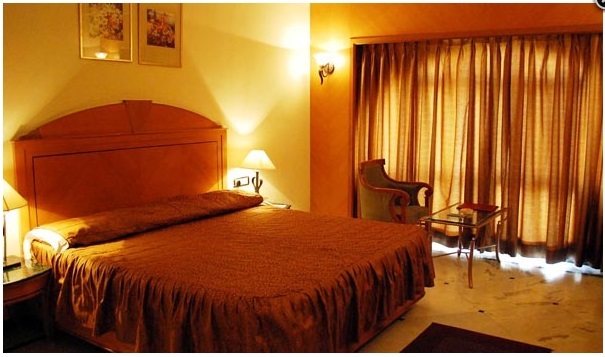 Executive rooms are splendid specimen of how comfortable and stylish rooms should be. These pleasant looking rooms are done with great finesse. 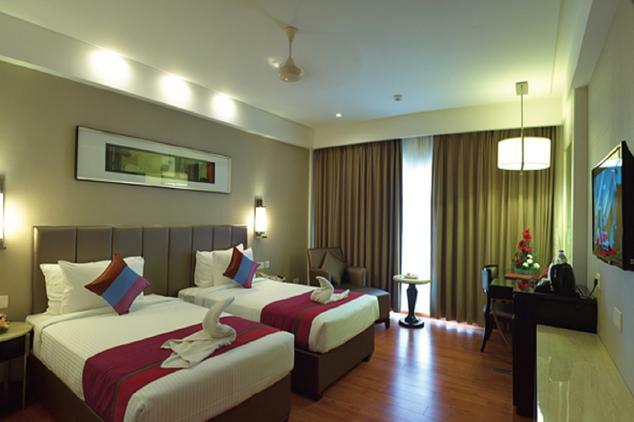 The rooms are furnished with either a twin bed or a king-size bed and one can choose the one that suits them better. The amenities offered are tea/coffee maker, safety deposit locker, direct dial telephone, mini bar, satellite T.V and Wi-Fi connectivity. The attached bathroom comes with a shower, make-up mirror, hair dryer, dental kit and bathroom telephone. Navrattan is restaurant that serves authentic Indian cuisine. The restaurant’s décor is a thing of beauty with its chic and stylish interior. The place is perfect for a date or for family dinners as the spacious dining hall offers intimacy and great ambience. The chefs would be delighted to cater to any personal requests and will do their utmost bring the taste of every state onto your dining table. Khazana is the mutli-cuisine restaurant that serves primarily Indian, Chinese and Continental. The interior is done in classy style which is quite elegant and pleasing to the eyes. the best ingredients are used in the dishes to bring to you the best tastes the city has to offer. Madhuvan is a non-smoking restaurant that offers a light ambience. The bar offers cocktails, cocktails and drinks that are sure to delight your senses. The bar also serves light snacks to accompany your drinks with and make the experience worth remembering. Surya is the place to hang out after lavish diner with family or clients. The bar boasts of international standard drinks, mocktails and cocktails. Breathe in the heady drinks and enjoy the relaxing atmosphere that is dazzling and intimate.